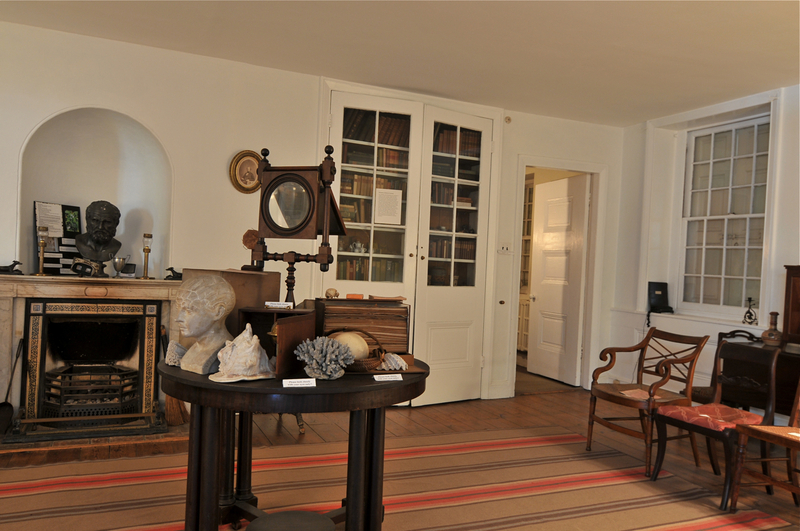 Wyck served as the ancestral home of one Germantown family from the 1690s until 1972 and contains authentic family furnishings and possessions from each generation. 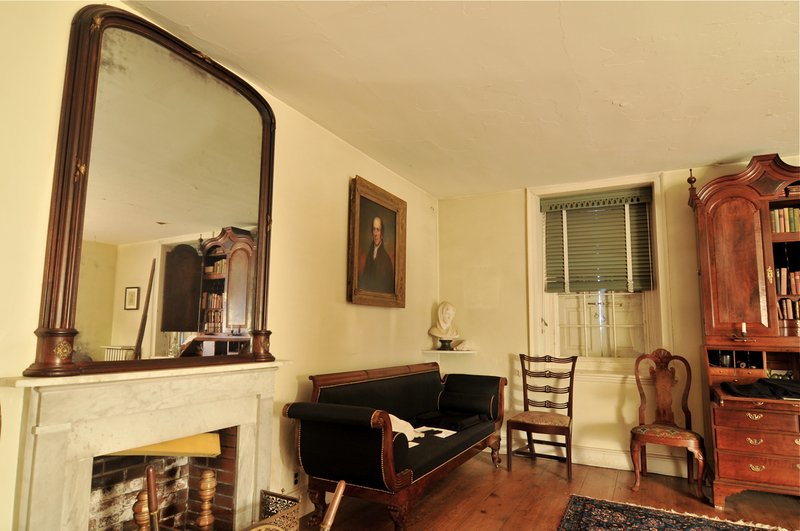 The house is a multi-part structure built in 1736 and 1772 (partly over a c.1690 log house) and renovated in the Classical style to become a modern Arcadian villa by noted Philadelphia architect William Strickland in 1824. The house remains virtually unchanged since that time. 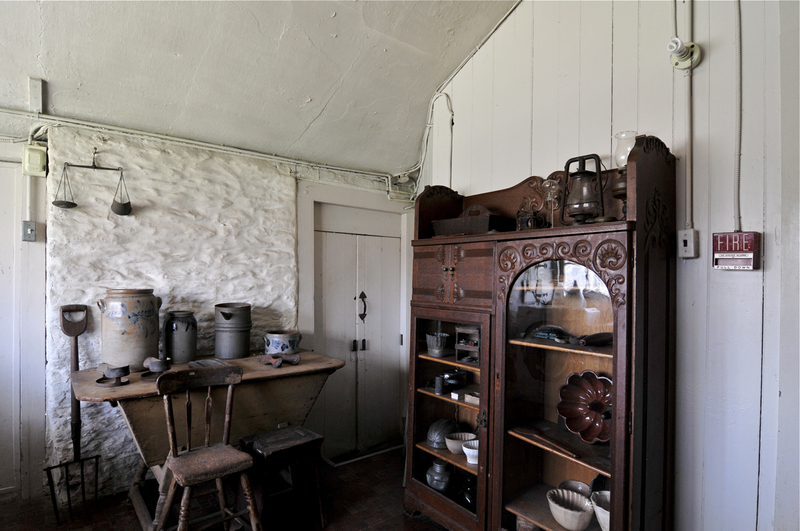 More than 10,000 artifacts are stored in the three-and-a-half story house, including domestic and household furniture and furnishings, clothing, toys, scientific, agricultural and industrial instruments, natural history specimens and Native American artifacts. The Wistar-Haines family library comprises over 3,000 volumes on subjects representing the family’s interests and experiences: science and medicine, teaching theory and education, child-rearing, garden and landscape design, agriculture, horticulture, natural history, engineering and history, and is also housed on-site. Wyck’s 1820s old rose garden still grows in its original plan and is a rare survival of its time, unique in the region and nation. 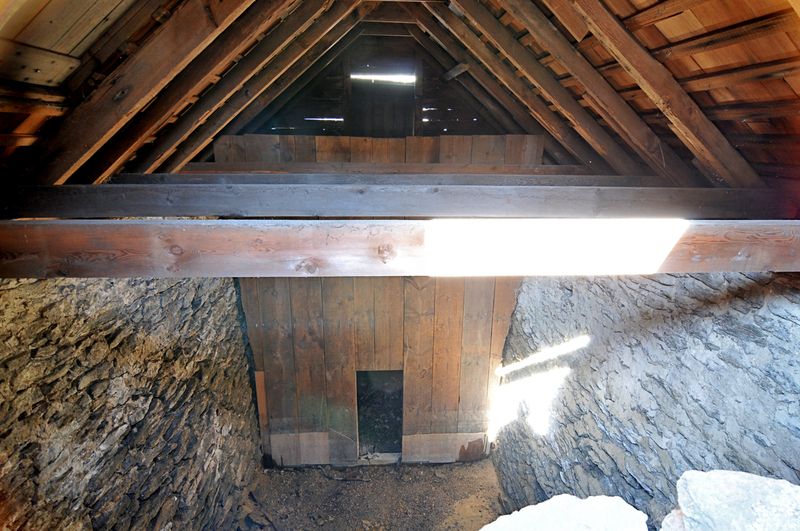 The site’s early outbuildings and Home Farm add to the authenticity of the site as a whole and enable Wyck to reach out to and serve its urban neighborhood in innovative ways. 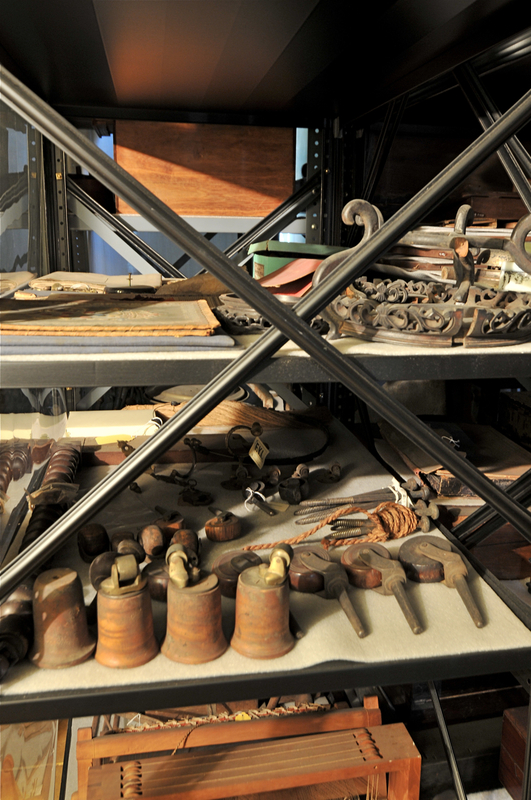 Wyck can be construed as a life-sized “cabinet of curiosities,” with artifacts ranging from the ordinary to the extraordinary: needlework, kitchen implements, agricultural tools, children’s dolls and toys, and more than several chamber pots! Reuben Haines III (1786-1831) pursued his passion for history, natural history, education, horticulture, and applied agriculture at Wyck. His historical relics, scientific tools and specimens, including experiments with taxidermy and the results of a phrenological study of his head (with the written analysis/results that go with it) are among the museum’s holdings. 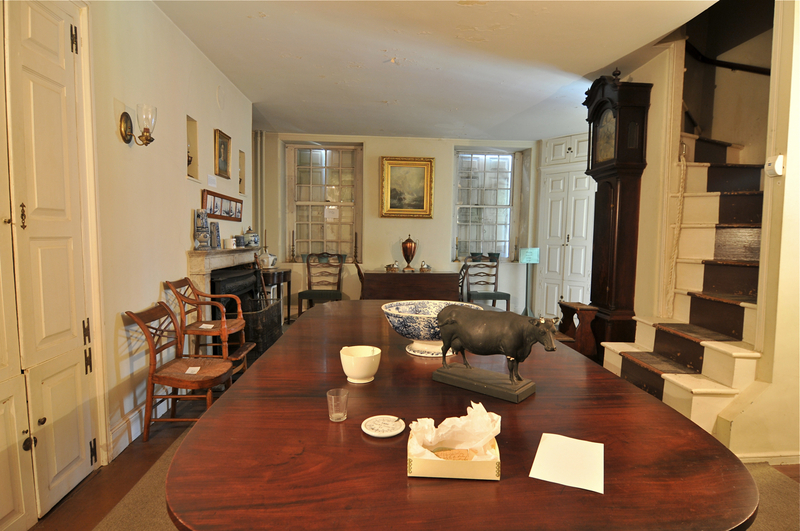 Wyck also has 100,000 papers (recipe books, accounting books, letters, journals) on deposit at the American Philosophical Society that help to bring our stories to life, adding personal and social dimensions to the objects we see in the house today. 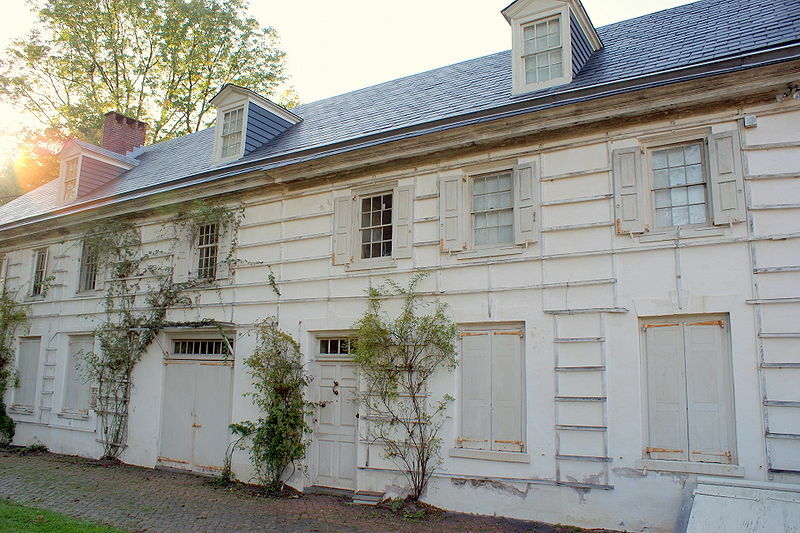 Mary Troth Haines, the last family member of nine generations to live at Wyck (Milans, Jansens, Wistars, and Haineses), established the family home as a public 2.5-acre historic site in the Germantown section of Philadelphia in 1973. 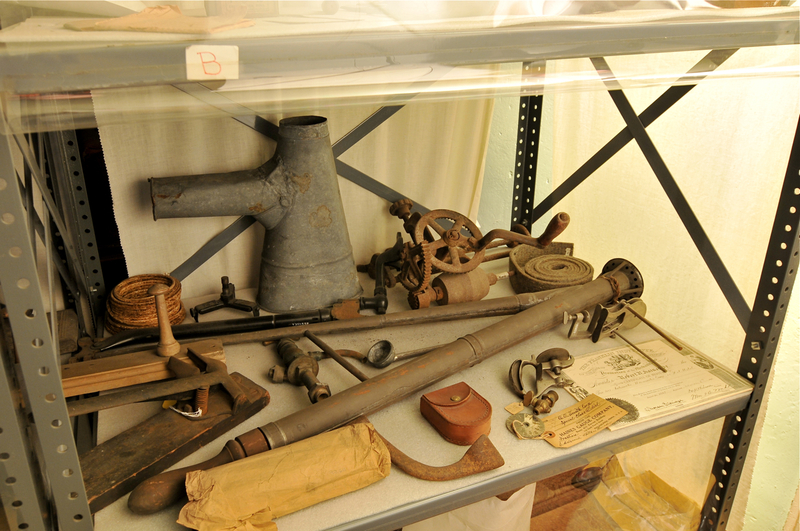 Wyck is a National Historic Landmark and has been administered by The Wyck Association since the 1970s as a museum and community resource. Historic Germantown (a consortium of 15 historic sites), The Food Trust, Greater Philadelphia Gardens, Bartram’s Garden, Philadelphia Beekeepers Guild, Morris Arboretum, Historical Society of Pennsylvania, the Academy of Natural Sciences, the Franklin Institute, and the Pennsylvania Horticultural Society. Usable space on Wyck’s site includes the main house (first floor rooms), a working farm with vegetable and herb gardens, chickens, and bees; a historic rose garden which is in full bloom in late May/early June, a large woodlot and lawn; 1797 smoke house, 1914 greenhouse (used for starting seeds), 1836 ice house, 1794 coach house (used for preparing produce for market). Wyck also has an Education Center, the “Ed-Shed,” a room about twenty five feet square with heat, electricity, running water and a cooktop.